If you've spent hours measuring, mixing and scooping out cake mixture then you're probably going to want to show it off. 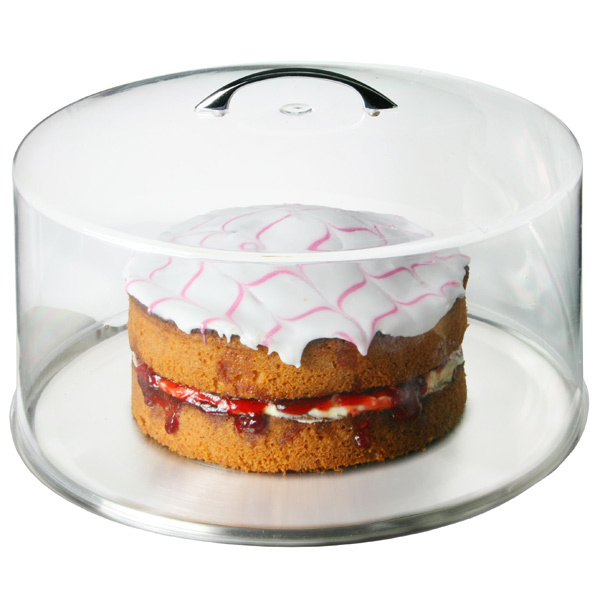 Display your cakes with pride in this Cake Dome, which features a stylish metal handled, durable high impact styrene dome and optional stainless steel cake plate. Ideal for home baked goodies at tea parties with friends or displaying freshly baked sweet treats in a cafe, no one will be able to resist asking for a slice. Please Note: The Cake Dome is not completely air-tight when used with the Cake Plate. The handle needs to be attached to the dome using the screws provided. "Item was delivered with the minimum of fuss - extremely well packaged. The item was easy to assembly and was of a robust construction. Many thanks." "I have been very impressed with the Cake dome, and as I have purchased 6 to date, I have nothing but very high praise for them. I even have several restaurant owners looking to purchase the same items from you." 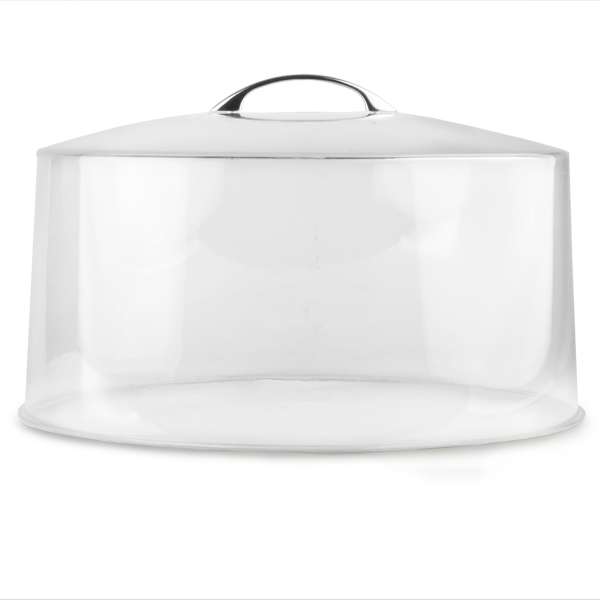 "It is a great item recommend it for any large 10 inch cakes, plenty of space, good for home or your business." "Really pleased with order and delivery."